Just how do you clean glass and mirrors the right way? Sounds simple, but it’s enough to cause endless frustration. Handprints, dust and dirt accumulate on glass and mirrors every few days. Do they always seem to be dirty? Are you sick of smears anytime you try to clean your windows and mirrors? Trying to use cleaning products from a store can lead to streak marks, making your mirrors and glass look even worse than before you started cleaning. No need to worry, there’s a simple solution for your glass cleaning headaches and an easy way to have a sparkling clean and shiny mirror. There may also be a build up of muck on the mirror which needs to be cleaned before cleaning the actual mirror. It’s essential to use a designated glass cleaner – they are designed to be suds-free, meaning they won’t leave behind any residue or streaks. 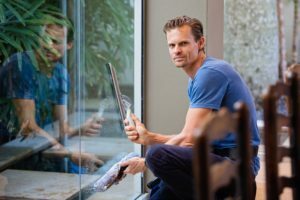 Ready to clean glass and mirrors like a pro? Let’s get started. A flat-weave microfiber cloth: Cleaning with another cloth won’t allow you to get the professional results you are looking for! A flat-weave cloth prevents any debris from attaching to the cloth, and it also allows for fast drying and a lint-free finish. 5 Easy Steps To Clean Glass And Mirrors! First, take a cotton pad and apply some rubbing alcohol to it. Check the mirror for any signs of gunk or glob build up (look for toothpaste splatters, hairspray etc.). Scan from top to bottom, and then in reverse, making sure you don’t miss any mess. Rub them off one at a time. Be sure to work fast. Rubbing alcohol dries quickly. Think of this in much the same way as spot treating a stain on clothing before you put them in the washing machine. Next, spray down the mirror or glass surface with the glass cleaner. Make sure that the glass is misted, and not soaking. Otherwise, it will create more work for you. Take the microfiber cloth and fold it into quarters. This way you have four clean surfaces to use, and you can flip the cloth anytime it gets dirty, allowing you always to have a clean surface and not leave anything sticking to or smearing your glass or mirror. Start cleaning the glass or mirror from the top left corner. Drag the cloth to the top right corner, then move it down a bit, and drag it back towards the left side of the mirror. Keep repeating this zig-zag pattern all the way until you reach the bottom of the mirror. Using this cleaning pattern makes sure you won’t miss cleaning any part of the surface. Not to mention, it also eliminates streaks, and takes less effort and energy! Look for any scuff marks. The secret to checking for scuff marks is to look at a 45-degree angle. Doing so will get rid of any extra light on the mirror. It illuminates streaks which aren’t visible when you look at the mirror straight on. If you find any more stains, spot clean them by spraying the cloth, and then wiping the streak quickly, and finally buffing dry. Now you have perfectly clean mirrors! Sound like a lot of effort? This whole process should only take about 90 seconds per mirror! No matter how many times you try, are you still having a problem when you clean glass and mirrors to get a professional look? About to give up and settle with fingerprint and lint glass forever? Well, there’s an easier way! 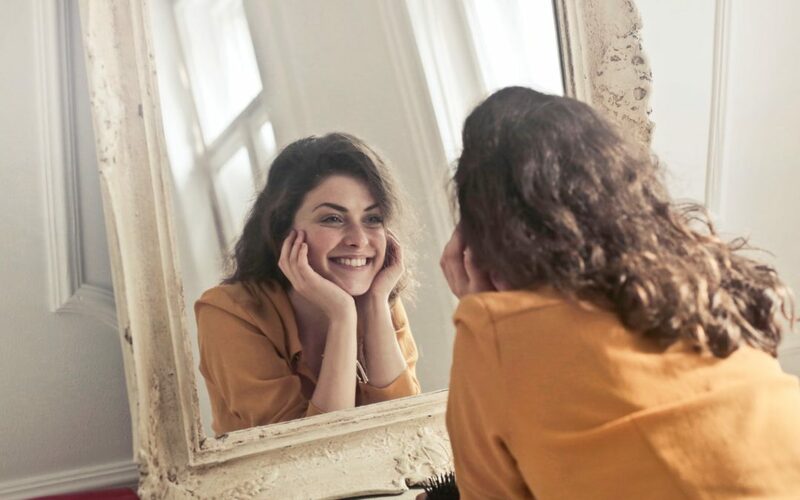 Hiring a professional cleaner can give you perfect glass and mirrors every time. SnapClean is Australia’s leading professional home and domestic cleaning service. Relax and say goodbye to frustration while we make your glass and mirrors sparkle and shine.